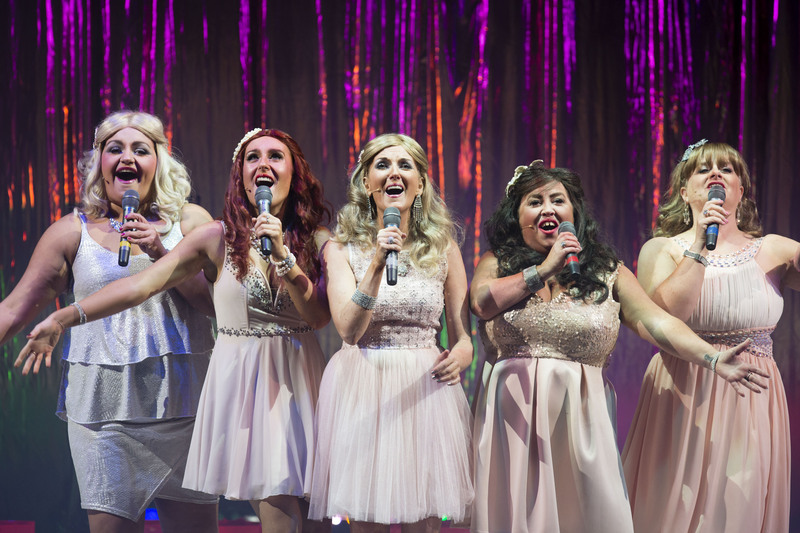 The theatre and performing arts has always been a passion of mine, ever since my student days working at The Tron Theatre in Glasgow. 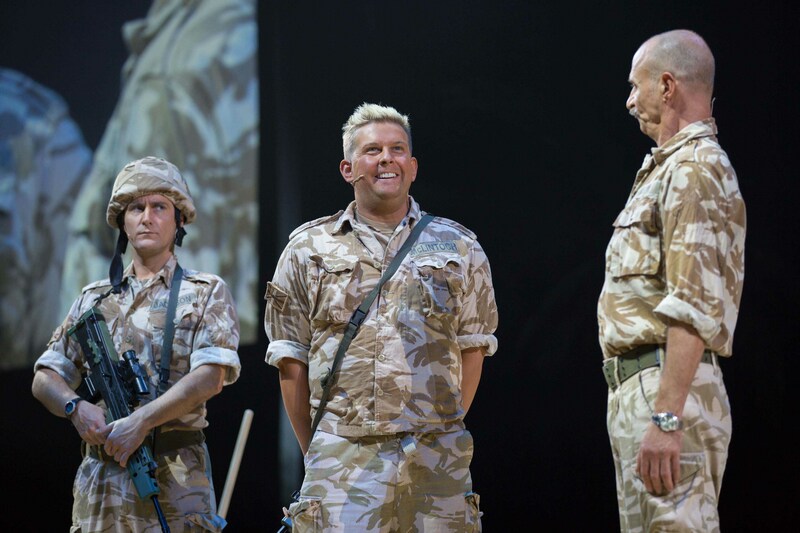 I find watching the drama and intensity of an actor in full flow can make a really amazing photograph. TV and film sets are also fascinating experiences. Watching what goes on, how the lights are set, the backgrounds etc. 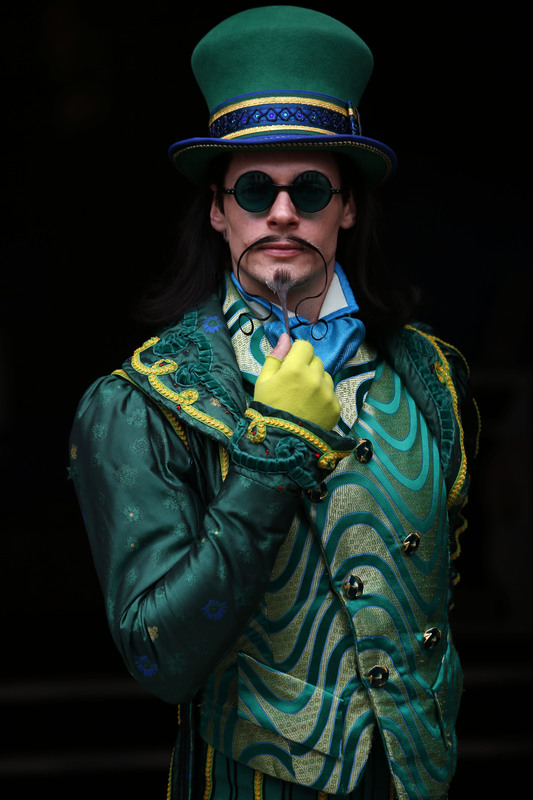 There also can be portraits to be had of the cast members in between scenes. Above is Jonathan Watson in his popular character of Frank ‘Macca’ McAvennie with Judy Murray filming a tennis sketch for the hit TV show Only an Excuse. When working on a television or film set or in the theatre where a camera shutter and put off the cast or disturb the audience I use an Aqua Tech sound blimp for my Canon D1X with lens tubes for the Canon f2.8 70-200mm and the f2.8 16-35mm lenses. 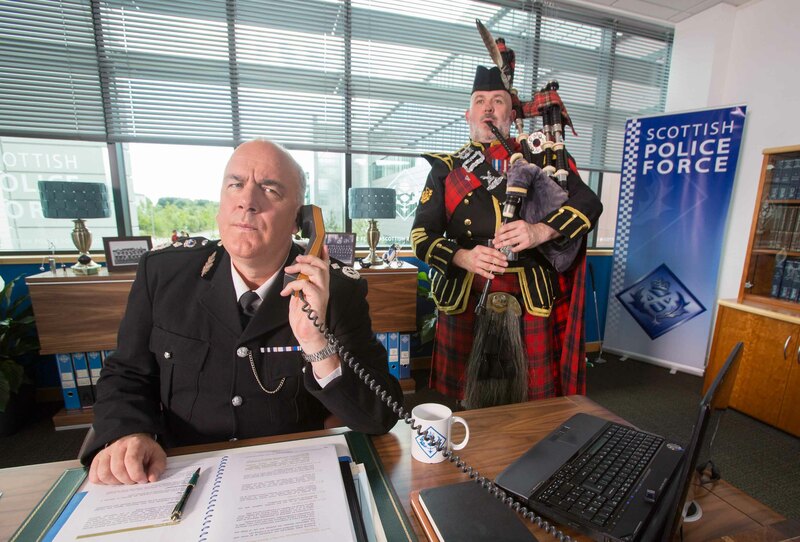 Jack Docherty as The Chief in BBC Scotland’s Scot Squad made by The Comedy Unit in Glasgow. CSI Biohazard Cleaning team for Erica Starling Production Company. 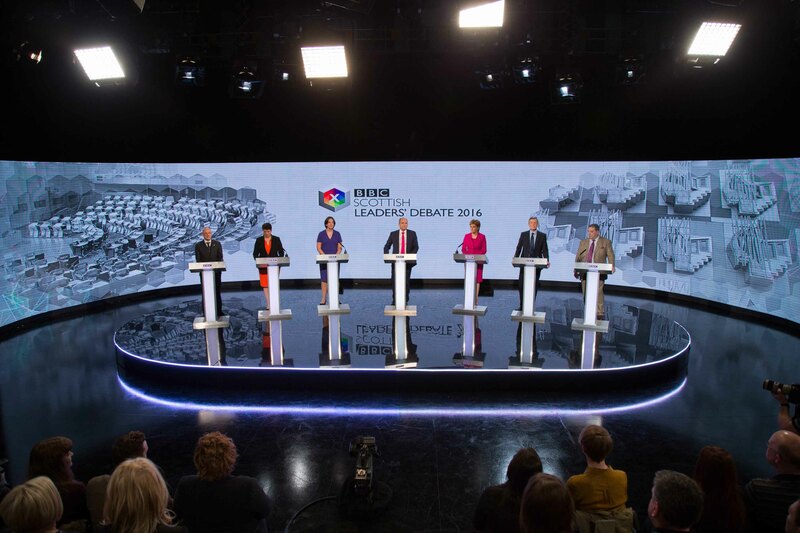 Holyrood Election Leaders in a televised debate at BBC HQ at Pacific Quay. 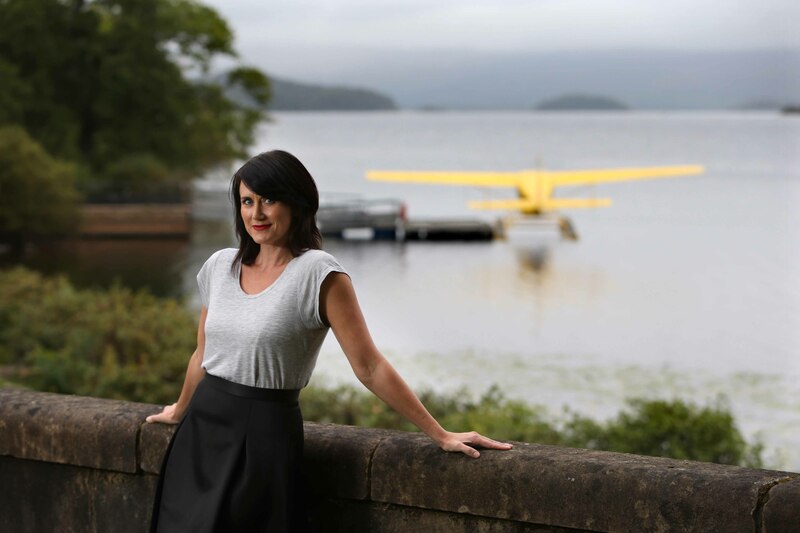 Dawn Steele at Cameron House, Loch Lomond photographed for the Evening Times to mark her arrival in BBC Scotland’s River City.